Video content has become a fundamental tool in education. The value it adds to the learning experience, from the classroom to distance learning, is immeasurable. 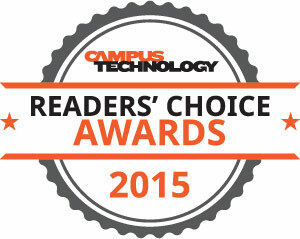 As educators embrace new technology and the use of video they may face a few speed bumps. By law, video content needs to be accessible to those with disabilities, like the deaf and hard of hearing. This requirement places a burden of cost and time on educators, but it does not have to be as daunting as it sounds. 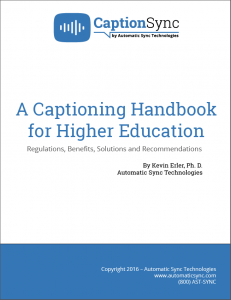 Automatic Sync was founded to create a fast, simple, and affordable solution to making video content accessible by providing transcription and closed captioning for education organizations and educational publishers. Much of the process is automated, which not only lowers costs and speeds up the process, but it also requires less effort from you. Our integrations with popular video platforms like Kaltura, Echo360, and Mediasite build captioning into your existing workflow so you can request captions with just a couple clicks and have them automatically delivered to your platform. Once you learn how easy and affordable the captioning process is, you’ll also see that captioning benefits much more than the deaf and hard of hearing. Purdue University gets started with campus wide captioning for accessible media and web content. 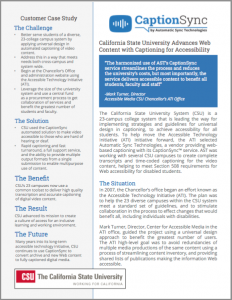 California State University advances web content with captioning for accessibility. 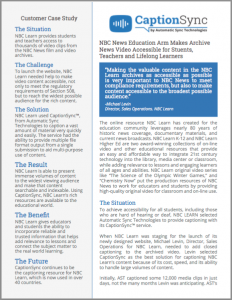 Ready to make your educational videos accessible to all students?